It's not difficult to find gluten-free candy—many manufacturers offer candy options that will suit you if you're following the gluten-free diet. But the choices narrow considerably when it comes to gift candy boxes. Because these boxes generally include mixed varieties of smaller candies, most contain some gluten-containing candies. Even if you can pick out the individual gluten-free pieces and leave the gluten ones behind, you'll be risking cross contamination. However, you do have some options. Here's the latest information on gluten-free candy boxes for gift-giving or enjoying yourself. See's Candies: Everything this smaller, upscale chocolate manufacturer makes is gluten-free (many are also dairy-free and nut-free). See's candy boxes start at around $10, and you can order them online or find them around the holidays at kiosks in some malls. Before buying, you should make sure to check the See's Candies website for current allergen information to make sure your selection is gluten-free. Cella's Chocolate-Covered Cherries: Cella's cherries, which come in boxes of 12, are made by Tootsie Roll Industries, whose products are entirely gluten-free. You can choose milk chocolate- or dark chocolate-covered cherries. Cella's cherries are available in many stores or online. L.A. Burdick Handmade Chocolates: These delicious, upscale boxed chocolates are available in a variety of delicious flavors, all gluten-free. The company has four storefronts—in New York City, Boston, Cambridge, Mass., and Wapole, N.H.—and also sells online. Its chocolate mice and chocolate penguins are particular favorites. Fannie May: Fannie May offers a huge variety of gift candy boxes, but sadly, none of them are entirely gluten-free. The candy maker does have some gluten-free candy options (although you'll need to call the company to determine the most up-to-date list), and it gives you the opportunity to create your own box of candy from its list of potential components. There aren't too many choices of gluten-free items that can go in the customized box, but it might represent one option if you really like Fanny May candy. Russell Stover Candies: Russell Stover Candies Inc. produces candy gift boxes under the brand names Russell Stover, Whitman's, Pangburn's and Weight Watchers by Whitman's. Gift candy boxes start at about $5, and you can find them in many supermarkets and drug stores. The company reports that "to the best of our knowledge," all products are gluten-free except for products containing cookies, such as S'mores and Cookies and Creams. Ingredient labels will indicate clearly when wheat is present, the company says in its statement on gluten. However, there's a catch: "Be aware that products containing wheat are produced on equipment that's also used to make other products. So we can't completely rule out the possibility of cross-contamination, despite efforts to prevent it. Because of that possibility, we do not declare any of our products to be gluten-free. Please check the ingredient listing and also check the May Contain information on our package," Russell Stover says in its statement. Therefore, you'll need to make your own decision as to whether you should consume those products. There are a couple of gift candy box manufacturers who state their chocolates and other candies never should be consumed by someone with celiac disease or non-celiac gluten sensitivity. Sadly, none of Godiva's chocolates are considered gluten-free, according to the company. That includes the gift boxes and candies sold by the piece in Godiva shops. Many of Lindt's chocolate products contain gluten in the form of barley malt as a sweetener, which rules out all of the company's delicious Lindor truffles. The candy maker does say that its "white and extra dark (70% cocoa and above) chocolate products by nature do not contain barley malt." Lindt also says in its statement on gluten that "Lindt is aware of the growing prevalence of Celiac's Disease and other conditions." Meanwhile, Ethel's Chocolates' website contains a statement that all of the company's products may contain traces of wheat, along with other allergens, making them unsafe on the gluten-free diet. 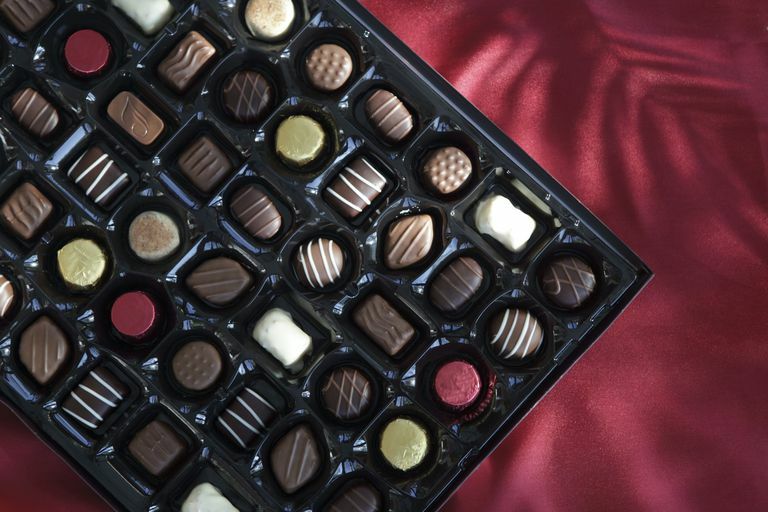 Other unsafe boxed candy includes the hazelnut chocolates made by Ferrero Rocher (they contain wheat flour), the specialty Valentine's Day boxed sets from Mrs. Fields (they also contain wheat flour), and collections from Lindt Lindor (which contain barley malt).